Easy exploration of tonic-scale alternatives. Is there a better alternative to AutoTonic Player? Is AutoTonic Player really the best app in Audio category? Will AutoTonic Player work good on macOS 10.13.4? 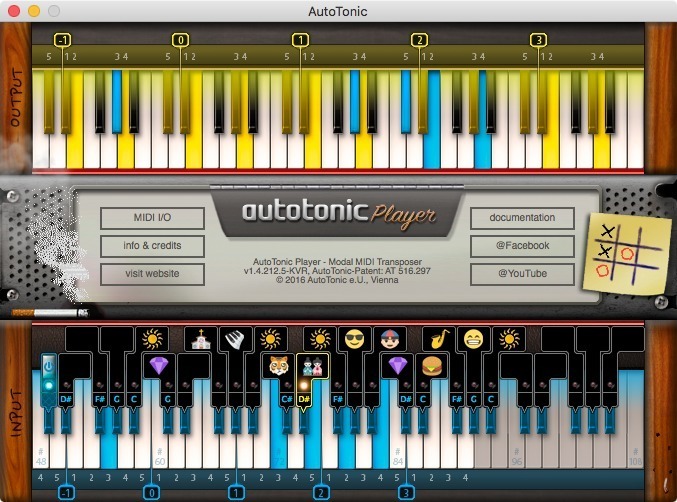 AutoTonic Player is based on the patented AutoTonic keyswitch technology, available in the full version, but offers you a unique custom and carefully planned 'preset bank' (think of it in terms of a 'sound library' for the modal mapping technology) of various famous and custom made scales. Also, it uses emojis instead of scale names, which make AutoTonic Player even more exciting to use. Also, this is not a demo and will not expire or such. AutoTonic Player needs a review. Be the first to review this app and get the discussion started! The full version of AutoTonic is available both as a subscription and as a perpetual license. Pricing information can be found here.